A shocking new report from Us Weekly seems to confirm the bad news, claiming Kim has been "feeling trapped" in her marriage for some time and is plotting her exit. According to sources, Kim is playing the "supportive wife" during Kanye's recovery, but is low-key laying the groundwork to file for a divorce and keep full custody of her kids in the mean time. “She wants a divorce,” a Kardashian friend claims. 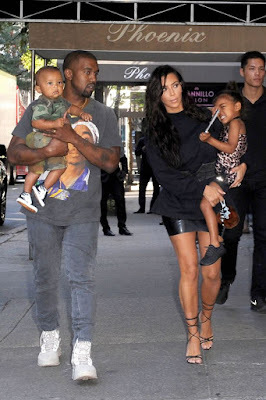 “It will take some time before she can do anything,” the pal adds, but says she's building her case to retain full custody of their kids North West and Saint West. “She doesn’t want to stay married,” the friend says inequivocably.